Hell hath no fury like a woman scorned. Well, that’s how one angry woman from Independence Village is feeling tonight. She has a scorching land issue with the Ministry of Natural Resources. A portion of Julie Bonilla’s property has been affected by a road being built to service new lot owners in the village. 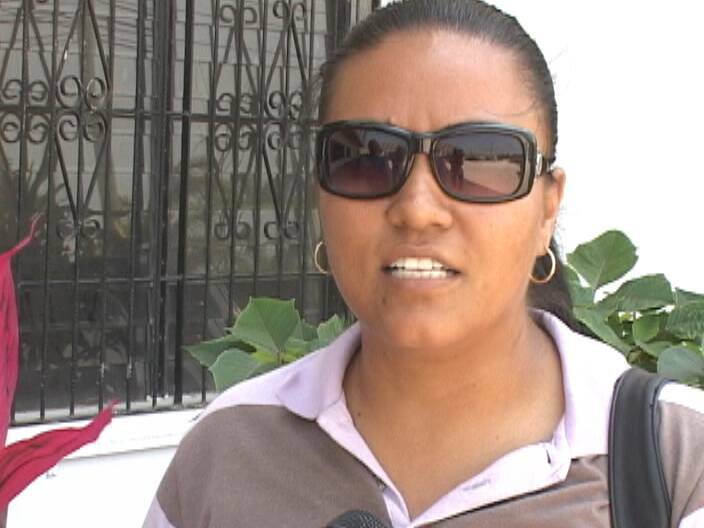 Bonilla says, however, that the Ministry wants her to dismantle a building on the land. And despite several trips to the Capital, she says her requests to have the situation remedied have been denied and that’s why she came to our studios to lodge her complaint. GET UP STAND UP…………………..DON’T GIVE UP THE FIGHT!!!!!!!!!!!!! A convoluted story I won’t even try to make heads or tails out of. Is the house that is now in the path of the road a second home placed on the lot without regard for future development? Someone needs to explain why we cannot seem to develop a master plan & have sections clearly marked for roads & utility easements. If that has been done, then it is time for people to stop showing up trying to garner sympathy in order to get over. This is just another frustrated Belizean woman who was wronged by empty political promises and greed. They are featured in the news every week since time immemorial and yet, everytime elections come around, they go out and cast votes for either of the two evils. Quite frankly, this will be forgotten before it’s remembered and make way for the next political horror story. NOTHING WILL BE DONE UNTIL BELIZEANS TAKE THE STANCE OF THE EGYPTIANS AND THE LIBYANS AND LITERALLY FIGHT BOTH POLITICAL PARTIES. CIVIL UNREST I SAY!!!!!!! !